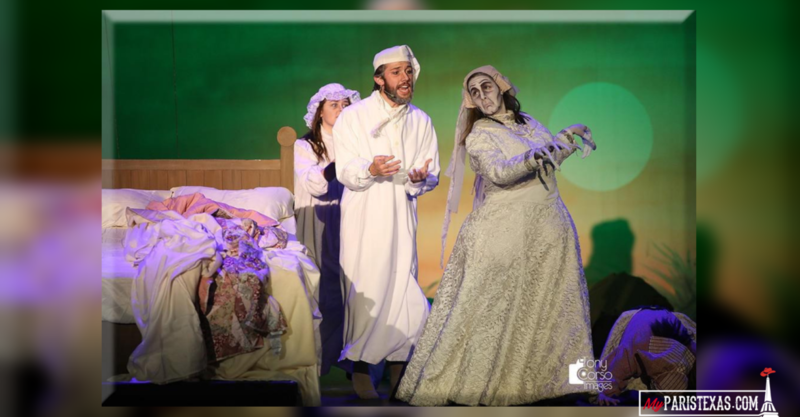 The North Lamar Theatre Department recently received notification of senior Seth Jones nomination for Best Actor for the Dallas Summer Musicals High School Musical Theatre Awards for his portrayal of Tevye in their fall production, Fiddler on the Roof. The notification also includes a second nomination for Best Orchestra. Orchestra members include Jayden Franklin, Stoney Shelton, Chloe Holbrook, Laura Daniel, Ashlyn Leonard, Jacey McGill, Jerron Newberry, Harrison Perry, Cydney Holbrook, and Payton Buck. “This is extraordinary for these kids!” said NLHS Theatre Director Cody Head. Assistant directors areStephanie Easton and Laura Hutchings.